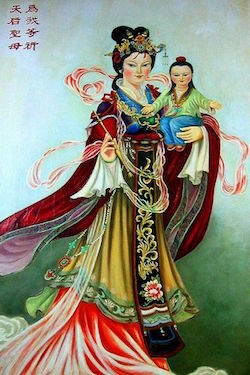 In China the centuries from about 600 AD to 1300 AD is often called the Golden Age of China. In 635 AD a Christian Nestorian missionary named Alopen arrived in China and was so well-received by the ruler Taizong that Christianity bloomed in China for hundreds of years. Taizong arranged for the Bible to be translated into their language and disseminated all over China. Many Christian churches were built and Alopen was appointed Bishop over them all. 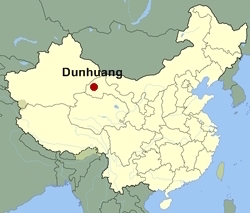 The Tang dynasty and Christianity faded c. 900 AD, but the Christian ideas and innovations had helped birth a Golden Age. 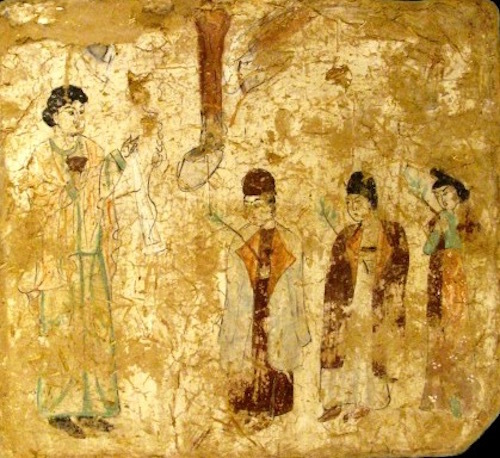 With the discovery of the Nestorian Stele in the 1620’s, the missionary Alopen and the spread of Christianity in ancient China became known again. I n the late 1800’s/early1900’s Western explorers along the old Silk Road noticed ancient Chinese artifacts like the Stele of Sulaiman at the Mogao Caves near an oasis called Dunhuang. 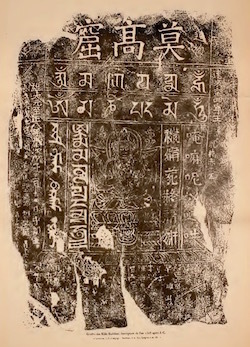 The Stele of Sulaiman (left) was erected in 1348 to commemorate the donations of Sulaiman, Prince of Xining. 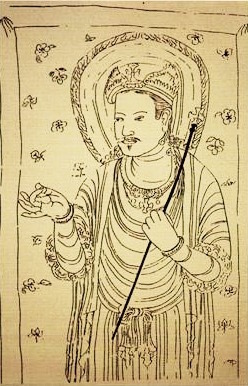 A Taoist man named Wang Yuanlu had been “tending” the site for some time. While clearing away the sand which had accumulated for centuries over the caves, he noticed a walled up area. 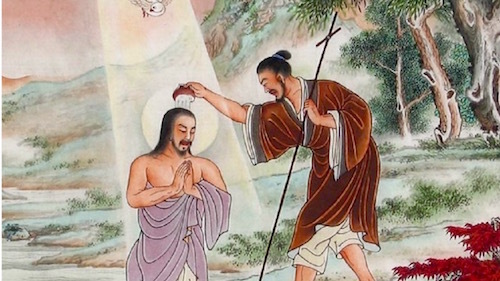 Behind the wall, he found on June 25, 1900 a small cave stuffed to the ceiling with textiles, paintings, artifacts and manuscripts—including the Jesus Sutras. The 50,000 manuscripts in that Mogao Cave eventually were made known. Of those 50,000 manuscripts in what is called the Library Cave, only eight of them make up what is called the Jesus Sutras. The rest of the old hemp manuscripts are Buddhist, Confucian, Taoist, government administration papers, etc. The manuscripts date from between the 4th century AD and 635 AD, the year of the missionary Alopen’s arrival in China, to c. 1000 AD when the cave at Mogao was sealed for whatever reasons. Some speculate they were sealed because of the persecution of Christians and Buddhists c. 850. According to an unnamed source, more than 3,000 monks of the “Luminous Religion” (Christianity) were ordered to return to their secular lives. Ever since that time some who specialize in ancient Chinese Christianity have been looking for Alopen’s Scriptures which were translated into Chinese. The Sanskrit word Sūtra (Sanskrit: सूत्र, Pali: sūtta, Ardha Magadhi: sūya) means “string, thread”. The root of the word is siv, that which sews and holds things together. The word is related to sūci (Sanskrit: सूचि) meaning “needle, list”, and sūnā (Sanskrit: सूना) meaning “woven”. The word Sutra normally refers to a group of aphorisms/teachings in Hindu or Buddha religion/philosophy. The Jesus Sutras found in Cave 17 are astoundingly Biblical but some Buddhist and Taoist thought and phrases are found in the Sutras. To the left is a restoration of a T’ang dynasty picture of Jesus Christ found in Cave 17 at Magoa Caves, Tunhwang. The original work dated back to the 800’s. The Jesus Sutras teach that because people’s innate good nature had become confused and obscured God had to come to Earth as Ye Su (Jesus). “Therefore, my Lord Ye Su (Jesus/Yeshua) the One emanating in three subtle bodies, hid his true power, became a human, and came on behalf of the Lord of Heaven to preach the good teachings.” (Sutra 2:17). This Sutra contains the doctrine of original sin by Adam and reflects Jesus as taking on Himself the sins of man. “… When Jesus Messiah was born, the world saw clear signs in heaven and earth. A new star that could be seen everywhere appeared in heaven above. The star was as big as a cart wheel and shown brightly. At about that time, the One was born in the country of Ephrath in the city of Jerusalem. He was born the Messiah and after five years he began to preach the dharma.” Matthew 2:1,2 is Star in the East; Ephrath is “Ephratah (Bethlehem) in Micah 5:2; Dharma means “firm” like a law. 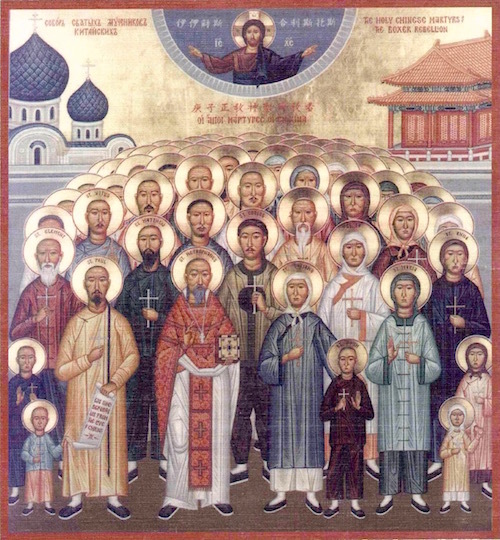 Today there are millions of Chinese Christians. In the last decades in China, there has been an exponential rise in believers in Christ. Some estimates say China may have the world’s largest population of Christians by 2030. 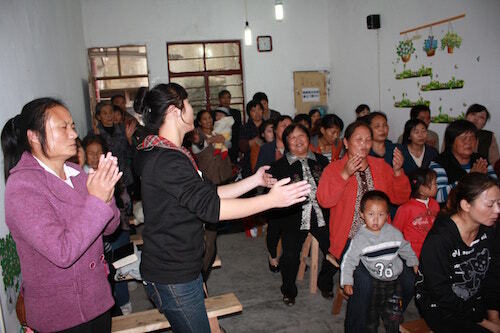 Below is a Christian worship service in a contemporary Chinese Home Church. Home Churches are forbidden by the atheistic Chinese Communist government and many “pastors” of Home Churches have been imprisoned or killed. 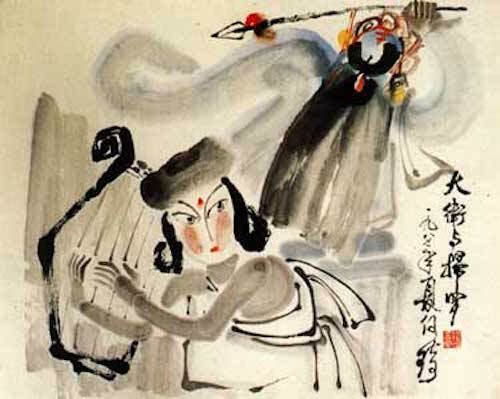 David and Saul — by Chinese contemporary Christian artist He Qi, a professor at Union Theological Seminary in Nanjing and a Biblical scholar.